In behalf of all the streetchildren who attended and very much enjoyed the 4th Annual Pisay 96 Christmas Party for Streetkids held last December 11 in UP Diliman, we would like to thank you once again for your continued participation and very generous support to Pisay 96 and our projects. The activity is an annual Christmas tradition for children in the UP Diliman and adjacent areas who are not privileged enough to have the means to celebrate the holidays. This year, we gathered 50 children from the Diliman area for one afternoon of fun, food, games, and prizes, in celebration of the holiday season. Muli, maraming salamat at maligayang Pasko! Philippine Science High School scholars received premier education in the sciences to help in the nation’s development. Since its 10th jubilee anniversary in 2006, the Philippine Science High School Class of 1996 (Pisay 96) has been conducting socio-civic projects in communities across the country, as a sign of gratitude and return to the nation. 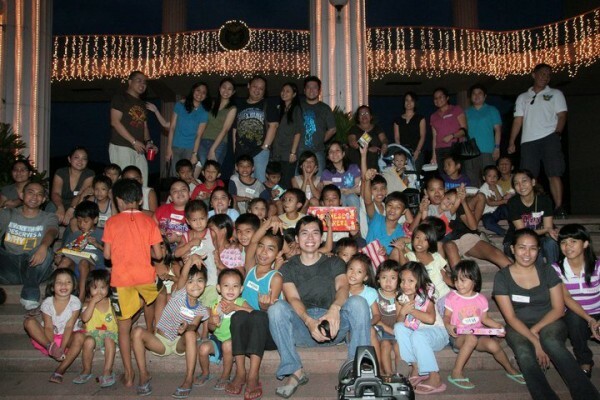 The annual Christmas party for streetchildren is one of several projects that the group regularly conducts. To know more about other Pisay 96 projects and activities, please visit www.pisay96.com or send an e-mail to pisay96@gmail.com. Pisay 96 will be having its 4th annual Christmas Party for Streetchildren on December 11, 2010 and is once again asking for your support. If you would like volunteer or make a donation, please send an e-mail to pisay96@gmail.com or text +63 920.4469728.